Tours run with a minimum of 2 people and maximum of 8. For larger or private groups, please contact us. We depart at 8.00 a.m. every Monday, Tuesday, and Thursday from Provença 279, Barcelona, near the corner of Pau Claris and Provença streets, in front of Hotel Praktik Bakery-Baluard. The tours will not run on September 11th and December 25th. If you would like to inquire about another day of the week, please let us know. 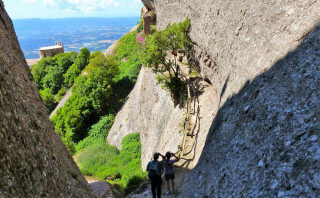 Most of this hike follows straightforward trails and paths, except for an optional ascent to the peak of Albarda Castellana, where for a short section we will need to use our hands and scramble to reach the summit. Whether we make this ascent depends on the group and the weather; we don't include it in all our tours. What to bring? No matter the season, please bring a small backpack, hiking footwear (not mountain sandals! ), raincoat, polar fleece or a similar warm layer, and sunglasses. In summer, please also bring a hat, sunscreen, swimsuit, and a towel. A snorkeling mask is also recommended. Picnic lunch and 1l water are included, but we recommend bringing snacks and drinks if you think you will need them. Please advise any specific dietary requirements/allergies at the time of booking. The tour will take place rain or shine, but you’ll always have the possibility to change the date depending on the forecast. You are welcome to ask us about any questions you might have. 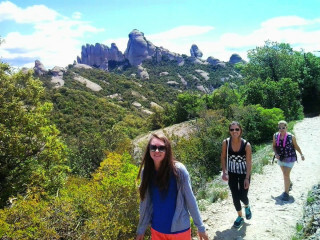 Visiting the natural and historical marvels of Montserrat is a must-do when staying in Barcelona. 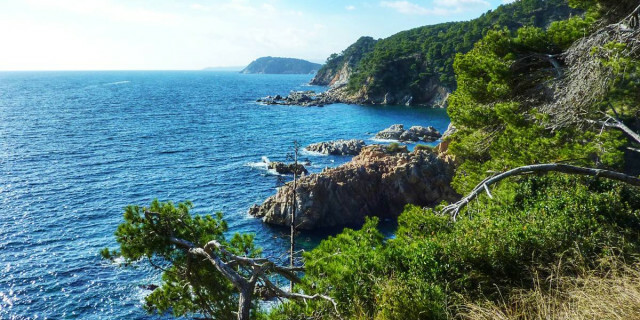 But if you want to avoid crowds and hike secluded trails in Spain’s natural park, this hiking tour is calling your name. 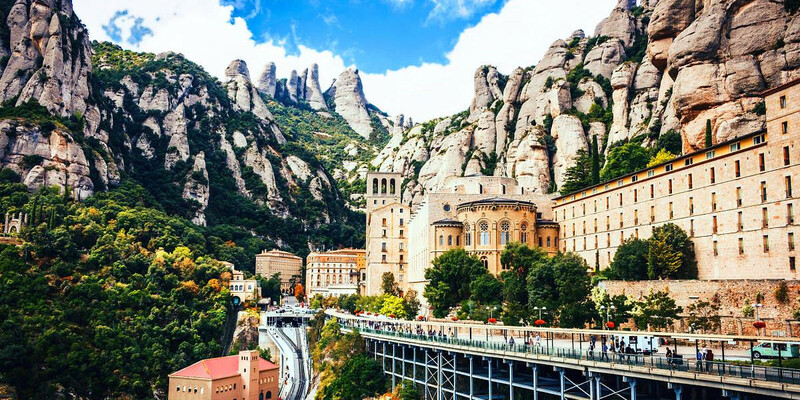 From our meeting point in Barcelona, your guide drives you to Montserrat in an air-conditioned vehicle while you enjoy the views of the Spanish countryside. 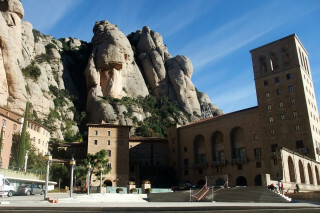 First, we visit Santa Maria de Montserrat, the mountain’s 16th-century Benedictine monastery. Stepping inside and into the past, we admire the 'Black Madonna', a wooden carving from the 12th-century, known as La Moreneta (the Dark One). After this fill of history, we start our 12 km (7.5 mi) hike by ascending to the middle of the Montserrat range via the steep St. Joan funicular railway. The glass roof of the funicular offers spectacular panoramic sights of the monastery and the mountain, almost as if you were flying over with the birds. Our hiking tour begins where the funicular ends. Our trail leads us view after view, each more stunning than the last. 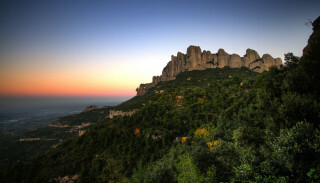 Given the ability of the group and favorable weather conditions, we may climb the iconic peak of Montserrat, the Albarda Castellana (1,177 m/3862 ft). 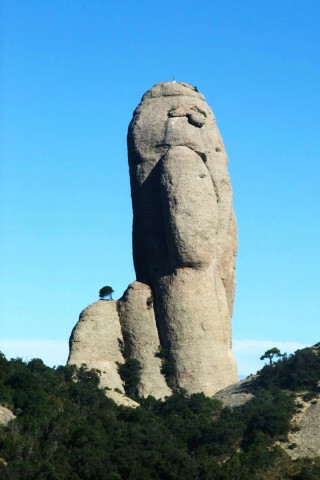 This rocky summit stands out like a natural tower among the surrounding landscape. 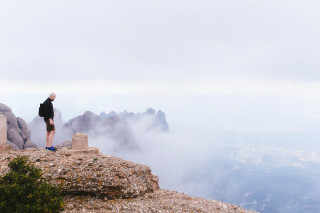 For a break, we rest at one of the many shrines where the first inhabitants of Montserrat took refuge for more than 1,000 years. Here we enjoy lunch and rest our feet while looking out over the scenery. With regained energy, the guide takes you through a little-known area of the park. With a bit of luck, we might see a Spanish ibex (mountain goat) bounding along the cliffs. On our descent, we walk past more shrines before heading back to the monastery. 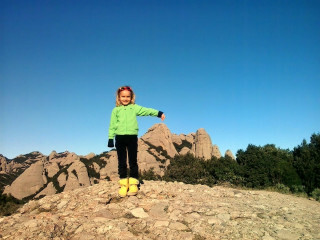 We then drive back and return to the meeting point in Barcelona in the evening. 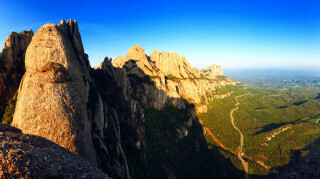 This memorable hike welcomes both outdoors and history lovers for a day of exploring Spain’s natural historic wonder.